When it comes to spending time in the great outdoors, weather is one of the key things that you need to consider when choosing the products that you decide to take on your adventure with you. During the wintertime, you will rarely have to worry about your beverages getting too warm. Whereas in summer, there can be a risk that your products will quickly overheat, especially your drinks. Whether you want to drink water or beer, the cooler your beverage is kept, the better. No one wants to drink a drink that tastes as though it has been sat out under the blistering sun all day. But, when it comes to choosing the best soft sided cooler that you can, there is a chance that you could accidentally choose a rubbish cooler – or even one that leaks! To keep your beverages cool, your soft sided cooler needs to be able to protect your products from the harsh environment that surrounds you. One way of making sure that this happens is to ensure that your soft sided cooler contains enough material for insulation purposes, as insulation is one of the key features that will keep your beverages cool. The insulation in your cooler will directly protect your products from the heat. You should also make sure that you always pack enough ice into your cooler, and if you are unsure about how much ice you should pack then you can use the ‘tips’ section of this article. So, whether you are going out for a full day of boating, or to sit around a camp fire, then a soft sided cooler is a fantastic option for you. You can take one with you on almost any type of adventure, and if your adventure does involve a lot of heat then you really will appreciate your cooler. Not to mention the cold beverages that it will protect for you. Soft sided coolers are also generally designed to be easy to transport, so you will be able to travel around with ease. What features will the best soft cooler have? The thing that you have to remember about soft sided coolers is that they have been made to suit an absolute myriad of purposes. Some of these purposes include boating, camping, hiking, and simple family day trips. Regardless of the intended use, the product also has to have the ability to perform its main task with ease – keeping your beverages cool. To be suitable for your needs your product will have to consist of just a few specific features. The most important features can be summed up in just five simple questions. How insulated is the product? When it comes to soft sided coolers, proper insulation really is the ideal product key. This is because proper insulation is exactly what will keep the ice that you place inside of the cooler from melting, and that will result in your beverages staying cool for as long as possible. Some soft sided coolers can even keep your ice from completely melting for a full day. Just imagine, if you are in a direct sunlight situation then you will want a cool drink, opposed to a drink that tastes as if it has been left out all day. What type of material is the product made out of? One of the key things that you should know is that the internal lining of your product should be both waterproof, and FDA approved. This is because the beverages or food that you could place inside of your soft sided cooler are considered to be consumables. Most of the soft sided coolers that you can see on the market are made out of a material that is a type of waterproof, polyester-canvas. The liner itself will also be antimicrobial, as well as both stain and odour resistant. You should also consider cleaning when purchasing your product. You should make sure that the liner itself is incredibly easy to clean, as you will need to make sure that you clean it every time you use the product. How do you carry the product? When you take your soft sided cooler out with you on your adventure, you will probably find that you have to carry it around for a full day. Due to this you need to make sure that your desired cooler features the right carrying option for you. 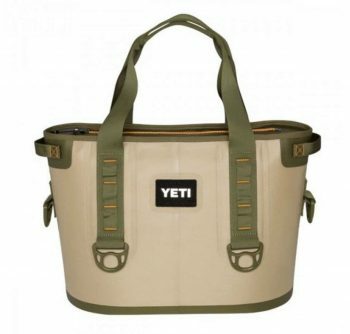 Most of the coolers that you can find on the market will feature both a handle and an adjustable shoulder strap. This means that you can swap the method that you use to carry the product if you need to. Is the product both durable, and leak proof? You need to really consider durability when you are purchasing your own soft sided cooler. Exactly how durable you will need the product to be will depend on what your intended uses for the product are. For example, if you plan on going hiking with the cooler then you need to make sure it is not going to easily snag or rip. You do not want your product to break while you are attempting to carry something, as if the strap or handle break then you will struggle to carry the product. Another key ideal of durability that you will need to consider is whether or not the product is actually leak proof. Most of the coolers that you can find on the market will advertise themselves as leak proof, but you certainly do not want to make the mistake of purchasing a product that appears to have the same water-proof nature as a sieve. You will also find that the vast majority of coolers can leak directly from the zipper, although this is highly unlikely if you purchase the right product. How well does the product retain ice? All soft sided coolers have two things in common. Firstly, they have been designed to keep your beverages cool. Secondly, they have been built to retain the temperature of ice. Ice retention can vary quite dramatically from product to product, and it is something that you need to consider before purchasing your own cooler. Ideally, you want the ice in your cooler to go as long as possible without melting. Once the ice has completely melted your beverages will quickly revert to the temperature that is around you. The amount of time that a cooler will keep your beverages cool for can vary. Some will only last for several hours, while the best products on the market can actually last for a full day without the ice melting. The longer your product will keep your ice from melting for, the better. When using a soft sided cooler, are there any specific tips that I should use or remember? When you take a soft sided cooler out with you on your adventures, there are a few key things that you should be aware of. They are things that will simply make your life easier, and they will enable you to get the most out of your cooler. You should always pack your cooler with as much ice as you possibly can. This is because any empty space that exists inside of your cooler will make the ice inside of the cooler melt rather rapidly. By making sure that you use a 3:1 ratio of ice to beverage, you can keep your ice from melting for as long as possible. By doing this you can keep your beverages cool for the maximum amount of time that your cooler will allow. When you initially place products inside of your soft sided cooler you should make sure that they are initially cool, and not warm. If you do add warm products into your soft sided cooler, then the ice will melt quicker than it would otherwise. If you buy a cooler that includes side buckles, then you should make sure that the buckles are closed while the product is not open. By using the buckles, you create an actual seal in the insulation, and that seal will help to keep your ice from melting. You can do one key thing to keep your ice from melting quickly. By keeping the ice on top of your beverages, in a bag, the ice will last longer and keep your beverages cooler while doing so. This is because cold air descends, and so it will descend directly into your products. Keeping the ice together will stop the ice from melting as quickly as it would if the ice was loose within the soft sided cooler. A lot of people that use soft sided coolers on a regular basis will actually fill the product with ice twice before they head off on their adventure. This is because you are initially bringing the cooler from room temperature down to the actual temperature of the ice that you have placed in the cooler. So the ice is already working hard from the offset. By then replacing the ice you will make sure that the ice does not melt as quickly as it would after that initial hard work. Another key thing that you will need to remember is that the more you open and close the soft sided cooler the more you will expose the ice to, making it melt quicker than it otherwise would. By opening the cooler the insulation does not perform its task as efficiently, so attempt to limit air exposure as often as you can. Dimensions: 8 x 16 x 11.2 inches. Features: Multi-layered insulation structure, heat-sealed PEVA lining, and an extra-wide opening. Best Use: Day trips, and boating. If you are looking for a cooler that will offer you both convenience and practicality, then the Thermos Raya Premium 24 Can Cooler Tote Bag could be ideal for you. It actually features an adjustable, padded shoulder strap that is known for how comfortable it is over long time periods, as well as carrying handles. This means that you can actually swap and change the way that you carry the bag as often as you want, or need to. Thermos have actually been around for over 100 years, so they have built a trustworthy reputation as a brand. People consider this product to be ideal for keeping your beverages cool, and it has been accurately sized to fit a total of 24 cans. Making it suitable for full day use. The superior IsoTec multi-layered insulation structure has the ability to offer superior cold retention, added to the heat-sealed PEVA lining this product will keep your beverages cool for as long as you need it to. Weight: 8 ounces (18L), 10.2 ounces (25L). Dimensions: 12.6 x 9.4 x 11.8 inches (18L), 17.7 x 10.6 x 10.6 inches (25L). Features: FDA approved luxury aluminium foil lining, a spacious cooler compartment, and heat-welded seams. Best Use: Picnics, camping, and a variety of outdoor activities. 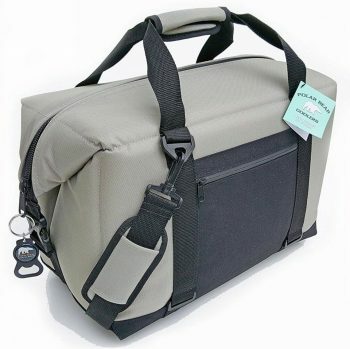 When it comes to laid back cooler options, the Yodo 18L/25L Collapsible Soft Cooler Bag might be the best soft cooler option for you. 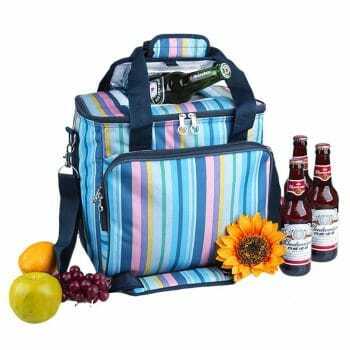 This particular bag has actually been designed for activities like picnics, camping, and taking part in casual outdoor activities. The soft, collapsible body has actually been made to save as much space as possible, yet it has also been made out of a sturdy, waterproof polyester-canvas. The heat-welded seams that this product also features have been designed to help to defend you against any accidental leakages, and you certainly do not want to get soaked while you are out having fun. Another one of the best features of this product is actually the luxury aluminium foil lining, as it meets all of the FDA requirements for food consumption. The spacious cooler compartment also proves to be incredibly easy to clean. Dimensions: 11.5 x 13.25 x 14.5 inches. Features: An antimicrobial lining, non-corrosive hardware, and ultra-thick insulation. Best Use: Day trips, camping, and boating. One of the things that most people actually forget to consider when they come to purchase their first soft sided cooler bag is that you actually have to clean the product with every use. This is because the cooler can actually get quite dirty over the course of a day. One of the key design features that reflects this in this product is that the Igloo Marine Ultra Square Coolers Bag is incredibly easy to clean. It also features a material that is completely antimicrobial. As well as being UV protective, and both stain and odour resistant. A few customers that have purchased this product have actually used it in marine conditions, this is because of the non-corrosive hardware that this product features, it won’t be affected by marine conditions. The ultra-thick insulation will also keep the inner beverages as cool as possible for as long as possible, as it is more than an inch thick. Dimensions: 10 x 18 x 12 inches. Features: A 1000D luggage-grade nylon outer shell, a heavy duty weather-proof zipper, and an adjustable shoulder strap. Best Use: Camping, boating, and outdoor activities. When it comes to catch phrases that really reflect a product, the Polar Bear company really have managed it. You need a Polar Bear Cooler that can thoroughly keep your beverages cool, no matter how strong the solar effects around you actually are. This product has actually been designed to be suitable for prolonged sun exposure, and it can handle up to 100 degrees for a grand total of 24 hours. This alone is a recognizable accomplishment that is almost unmatched by other providers of soft sided coolers that exist on the market. Due to the time that this product can keep your beverages cool for a lot of people have found it to be ideal for use in activities like camping and boating. As well as other activities that require longer time periods, time periods where you need to keep your beverages cool for as long as possible. This product only has the ability to do that because it features a 1000D (denier) outer shell, as well as an insulation that offers both a high density, and a high performance nature. Dimensions: 11 x 7.2 x 9.2 inches. Features: A high density thermal insulation, as well as complete FDA approval. Best Use: Normal day trips, hiking, and camping. Whenever you are doing something that involves the use of water, there is always a risk that there could be an uncontrolled growth of bacteria in the product. 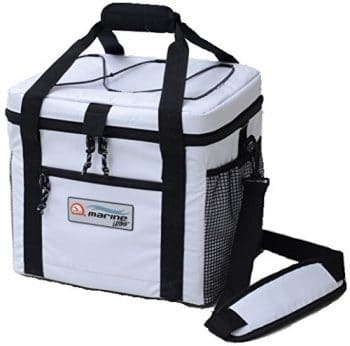 The Artic Zone Pro 18 Can Cooler is an exception to this, as it features a material known as Microban. Microban provides direct antimicrobial protection against this. It also meets all of the requirements that are set by both the FDA and the CPSC, meaning that it is completely safe for use with consumables. One of the things that most of the people who use the Artic Zone Cooler will mention is that it features a handy exterior pocket. You can use this pocket to carry an electronic device, or any product that you might find necessary for your activity. The cooler itself is also completely leak proof, so the product that you place in the exterior pocket will not be at any risk of getting wet. Dimensions: 19.28 x 6.3 x 12.2 inches. Features: A completely padded shoulder strap system, an exterior pocket, and a unique design. Best Use: Hiking, and camping. Now, standard soft sided coolers certainly are not for everybody. In fact, there are a few people that dislike soft coolers due to their shape, as they can be quite bulky. Those people would probably find that the Coleman C003 Soft Backpack Cooler is likely to be the answer to all of their problems. This is because of the unique structure that the cooler has, it looks exactly the same as a standard hiking backpack. Due to this design structure, it is also notoriously easy to carry. Just like a normal backpack, this particular backpack features adjustable shoulder and waist straps for added stability. The weight from the backpack goes directly down onto your hips the way that any good backpack should. Some people would immediately worry about storage size, in fact, how many cans can you fit into a backpack with ice? It turns out, you are not limited for size at all, as you can fit 28 cans into the backpack. It also features a large, zippered front pocket where you can store absolutely anything that you want to, and your products will not get wet. 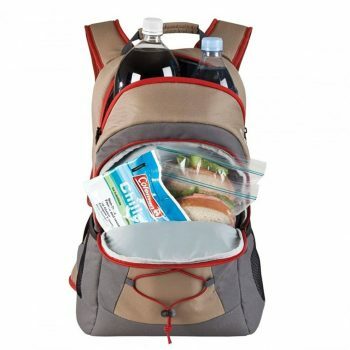 If you plan on hiking, this product could be ideal for you. Dimensions: 24 x 19 x 13 inches. Features: A puncture-resistant outer shell, the ability to carry 20lbs of ice, and a closed-cell rubber foam insulation. The YETI Hopper Portable Cooler is an ideal option for anyone who would consider their activities too ‘rugged’ for a standard soft sided cooler. This particular model has been designed with an ultimate Dry Hide shell that is completely puncture-resistant, making it the perfect option for outdoor sports such as hiking, and mountaineering. It has been built for adventurers, and the closed-cell rubber foam insulation that it features can keep the contents of the cooler cold for an entire day. This is also due to the HydroLok zipper, as its unique design has been created to both keep the cold in, and the heat out, in an area that is usually considered to be the weakest area of any soft sided cooler. So, if you do have to keep your beverages cool for an incredibly long period of time, then you should definitely purchase a soft sided cooler. This is because you do not want to be stuck out in the sun drinking a warm beverage, as it will only make you feel warmer. There is no better sensation that indulging in a cold drink while the atmosphere around you is sweltering. You should always make sure that the soft sided cooler that you purchase is large enough for your requirements, and never forget to filter in the 3:1 ratio of ice to contents. Sometimes a cooler that appears to be large will appear to be a lot smaller once you have placed all of the ice you need in there with your beverages. So, what do you think you would use the best soft cooler for? 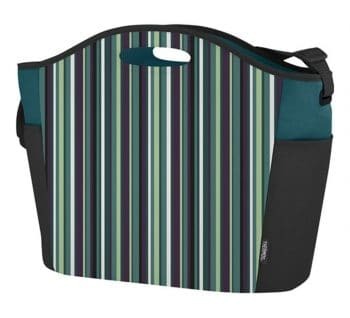 Or if you already use a soft sided cooler, what swayed your decision on purchasing one? Let us know your thoughts in the comments below!